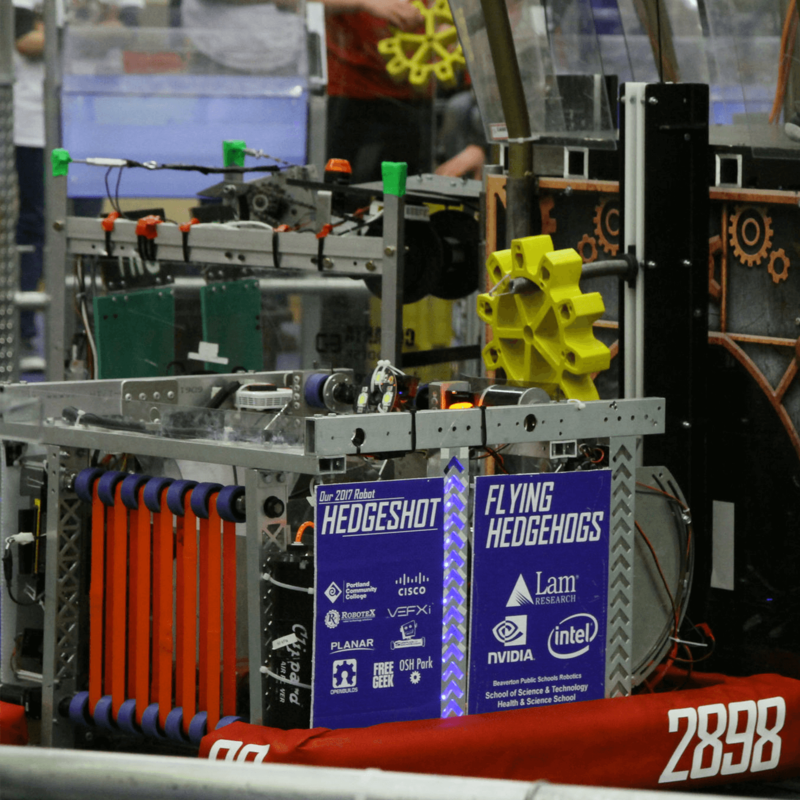 In the steampunk-themed FIRST Competition game of 2017, robots prepared to “take flight” by shooting wiffle balls into high goals and delivering plastic gears to airship structures on the field. By bringing gears to human players on the field, alliances can start their airship rotors for points. At the end of the match, robots climb ropes attached to their airships for additional points.